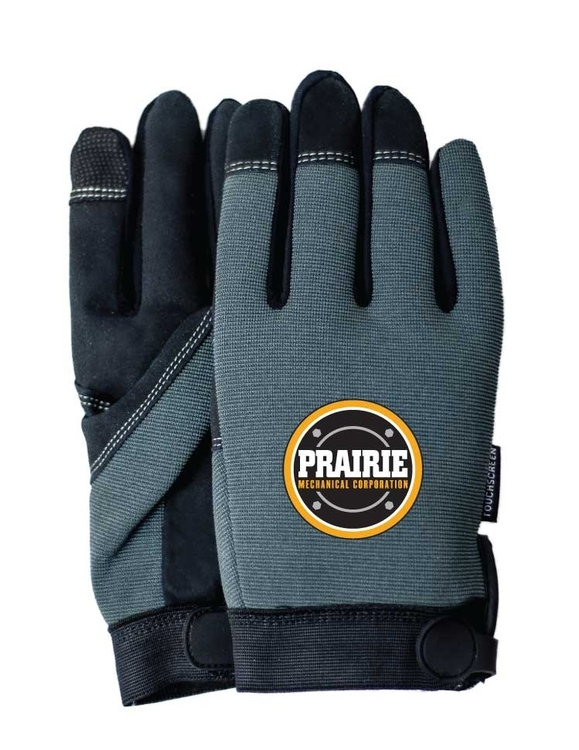 Touchscreen mechanics gloves, special conductive first fingers & thumbs, black synthetic suede palm, gray spandex back, adjustable wrist closure. Use any touchscreen device without taking your gloves off. Great dexterity for handling small parts & tools. Popular with technicians, electricians, mechanics, HVAC, automotive, plumbers, carpenters, police, law enforcement, security. Available in black/style 76, gray/style 96, brown/style 77, royal/style 70, red/style 71, Hi Viz/style 72. For custom colors please inquire.